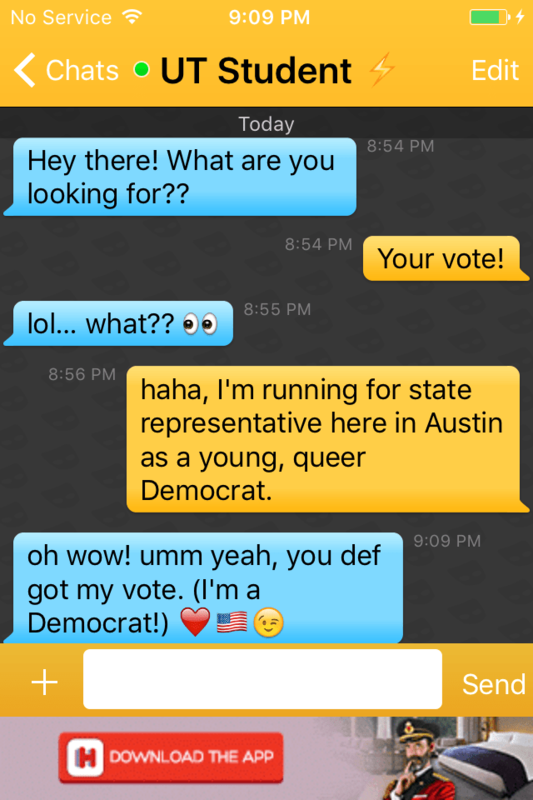 Huey Rey Fischer, candidate for Texas State Representative in House District 49, is using the dating apps Tinder and Grindr to reach out to voters. This is part of a greater effort to engage millennials in the state’s Democratic Primary. Early voting started last week and will continue through Friday, February 26. Election Day is Tuesday, March 1. Texas House District 49 encompasses Central Austin, including the University of Texas at Austin and several surrounding student-heavy neighborhoods. It is arguably one of the most liberal districts in Texas. Huey Rey Fischer is a candidate for State Representative in Texas House District 49 (Austin). 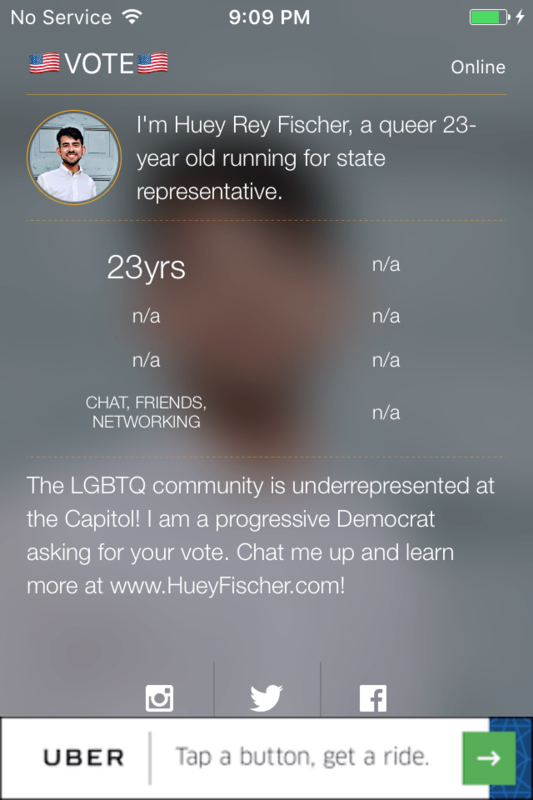 At 23 years old, he is the youngest and only openly queer candidate in this race. He most recently served as a Senior Policy Analyst for State Representative Eddie Rodriguez (D-Austin), with a focus on environmental regulation and food policy. He is a long time community organizer and progressive advocate.